The 10th anniversary of the Lehman Brothers bust this week resounds with retrospectives on the great financial crisis. Having immersed myself in the life of one of the protagonists, I have my own perspective. When my biography of former Federal Reserve chairman Alan Greenspan first published two years ago, I was concerned that the common understanding of the crisis was wrong. Now, as we gaze back after a full decade, the mistake looks dangerous. The central error in the popular post-crisis consensus was the idea that naive believers in the self-policing efficiency of markets led us over the precipice. Greenspan was painted as the high priest of this laissez-fairy-tale delusion, and people seized on a moment when he appeared to plead guilty: Under the pressure of congressional questioning, he confessed to a “flaw” in his pro-market ideology. What Greenspan meant was that all belief systems — whether pro-government or pro-market — are imperfect. But that subtlety was lost. Quoted and requoted without proportion or context, Greenspan’s purported mea culpa threatened to define his legacy. 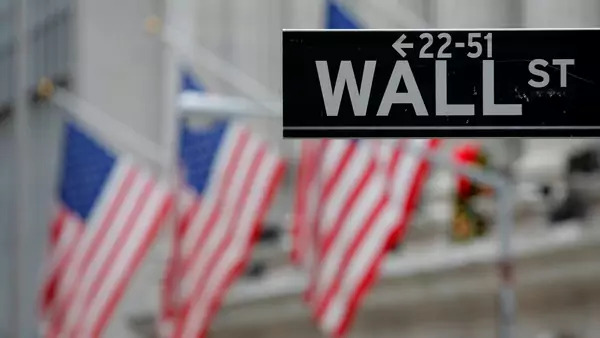 As faith in markets was discredited, the popular imagination fastened on behavioral economics, the study of how financiers or indeed ordinary consumers are neither efficient nor necessarily rational in pursuing their own interests. Bestsellers by two Nobel Prize-winning behaviorists — Daniel Kahneman and Richard Thaler — encouraged people to see the crisis as proof that this new science had been ignored, as did contributions from the sublime storyteller Michael Lewis. Countless diagnoses of the crash have presented faith in efficient markets as a chief culprit, observing that markets aren’t rational because people aren’t, either. The new consensus is seductive — and misleading. Behavioral economics is a wonderful field, but its insights had been understood by economists at least since the 1980s, a quarter of a century before the Lehman bankruptcy. Contrary to myth, Greenspan himself never believed that markets were efficient. In his youth, he wrote lucidly about bubbles and crashes and regarded market inefficiencies as so obvious that he sought to exploit them by day trading. (In the 1950s, this was harder than now: Greenspan had to buy a seat on the New York Commodities Exchange.) As Fed chairman years later, Greenspan frequently reminded his colleagues that periods of prosperity could be punctured by “irrational exuberance” in financial markets. Lawrence H. Summers, who perhaps comes second to Greenspan as the economist-statesman most associated with the supposedly blind faith in markets, was equally aware of their limits. In a paper co-authored almost three decades ago, soon after Wall Street plummeted 23 percent in a single terrifying day, Summers declared that the efficient-markets hypothesis “crashed along with the rest of the market on October 19, 1987.” Summers helped to come up with an idea that has become a pillar of the anti-efficient-markets view: that there are limits to arbitrage, meaning that intelligent traders can never correct price inefficiencies to the degree presumed by earlier theorists. In sum, blaming the financial crisis on the naivete of leading policymakers such as Greenspan and Summers is unfair and unfounded. What’s emerging now is that this myth is also dangerous. The myth distracts attention from the reality that political constraints, not intellectual failures, prevented policymakers from curbing the housing mania. Nobody remembers that in 2001 the Greenspan Fed banned the most abusive subprime mortgages, for the good reason that the ban was circumvented. But why was it circumvented? The answer is that the capture of Congress by financial lobbies ensured the balkanization of regulation into an alphabet soup of agencies, many of them underfunded and ineffective. Nonbank mortgage lenders, for example, came under the authority of the Federal Trade Commission, which had no resources to conduct preemptive supervision. Small wonder that the sharp practices in the industry became egregious, or that nonbanks continue to dominate today’s mortgage business. Nor is this an isolated example. The Greenspan Fed also tried to force more capital into the banks it supervised, but it soon realized that this would drive risk-taking into various “shadow banks” that lay outside its authority: Again, the alphabet soup drowned good policy. Greenspan also pushed for tougher regulation of the Federal National Mortgage Association and Federal Home Loan Mortgage Corporation (a.k.a. Fannie Mae and Freddie Mac), the government-backed mortgage giants, presciently observing that they posed “a systemic risk sometime in the future.” Fannie’s lobbyists hit back with a TV ad warning Congress not to back the Greenspan plan. That buried it. The important lesson of the crisis is not that markets are fallible, which every thoughtful person knew already. It is that essential regulations — the sort that the supposedly anti-regulation Greenspan actually favored — are stymied by fractured government machinery and rapacious lobbies. Even today, the financial system has multiple overseers answerable to multiple congressional committees, because all this multiplying produces extra opportunities for lawmakers to extract campaign contributions. Vast government subsidies still encourage Americans to take big mortgages; Fannie Mae and Freddie Mac still operate, despite endless talk of breaking them up. And although post-2008 regulations have ensured that banks are better capitalized, the lobbyists are pushing back. Merely a decade after the Lehman bankruptcy brought the world economy to its knees, the Trump administration is listening to them.